When the phrase ‘search engine‘ is mentioned, it is absolutely normal for ‘Google’, ‘Yahoo’, ‘Bing’, and ‘Baidu’ (maybe) to come to mind. But while these search engines have done absolutely fantastic things and provided life-saving answers and solutions to our never-ending questions, they do pose certain security risks — they seem to record and, in turn, know too much about us. They (particularly Google) collects users data ethically and unethically, and use them to create individual advertising profile so they can make more money to keep their services free. So, basically, privacy doesn’t *really* exists. In fact, these harvested data can be sold to third-parties or handed over to the government on request. This is where DuckDuckGo (DDG) comes in — search engine security. DuckDuckGo was brought to life in 2008 by Gabriel Weinberg. Since the search engine’s inception under the private company DuckDuckGo Inc., it has witnessed an incredible exponential growth within the space of 10 years. According to available information, average daily search queries in 2018 have skyrocketed to over 25million, compared to the 79,000 daily searches figure the search engine recorded in 2010 when it launched. Number of employees have also grown to 45 and total searches on the platform clocked 16 million in 2018 from 10 billion in 2017. Although DuckDuckGo is a privacy-focused search engine, it is a business first. And one way or the other, it has to make money and stay profitable. So how did DuckDuckGo made money throughout its 10 years of existence? DDG has raised investment from Venture Capitals, but that’s not enough to keep them profitable. This is why DDG displays advertising. However, it’s totally different from how Google and other search engines display ads based on information harvested from you. Ads displayed on DuckDuckGo’s pages are solely and exclusively based on the keywords in users’ search queries, and not some AI-generated Ad profile. To even make things more interesting, users can choose to turn off the display of Ads on the results page in the search engine’s settings menu; such impressive level of control and freedom! Another way DuckDuckGo generates income is through affiliate earnings. In partnership with top e-commerce platforms like Amazon and eBay, DDG gets paid a certain percentage of any purchase you make through links from the search engine. So, YES. I think DuckDuckGo can be trusted. Not only ’cause the company gave its word, but because over the years, there has been no report of DDG caught or found collecting, tracking, or sharing users personal information. In fact, over the years, DuckDuckGo has committed its resources to developing and improving tools (mobile apps, browser extensions) to strengthen privacy level on its platform. In addition to the above, DDG also actively donates to organizations that contribute to its privacy mission and vision. The company has donated over $1.3 million from 2011 till date. 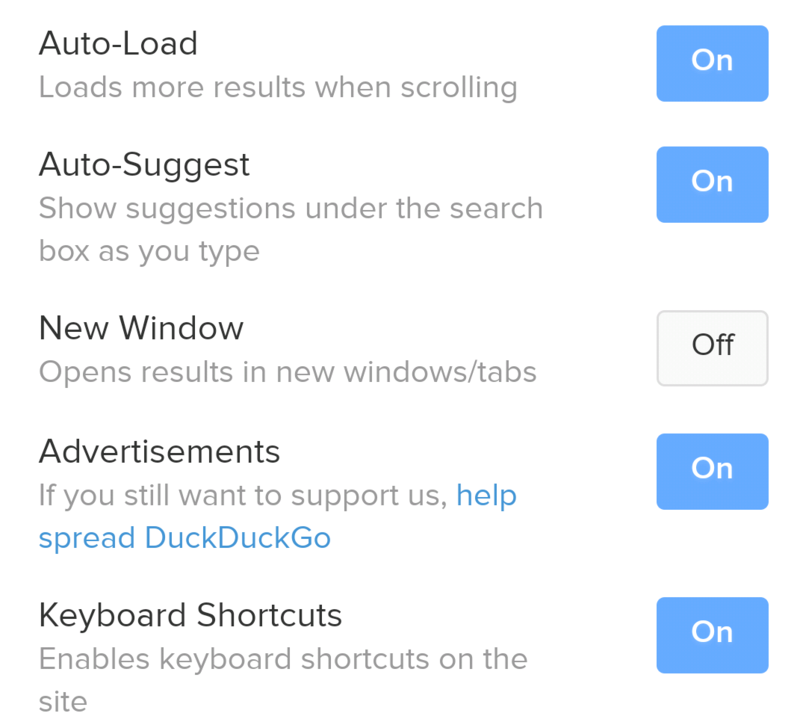 Asides being majorly privacy-focused, DuckDuckGo boasts of interesting features (some of which Google lacks) that eases overall usage experience and makes it more fun to use. Bangs, for example, is a feature of the DDG search engine that allows users you to search third-party sites directly from DuckDuckGo without having to go through a results page. Bangs! will take you straight to YouTube when you search !yt (with the exclamation mark). Entering !w Uganda into the search box will take you directly to Wikipedia’s page about the country Uganda. 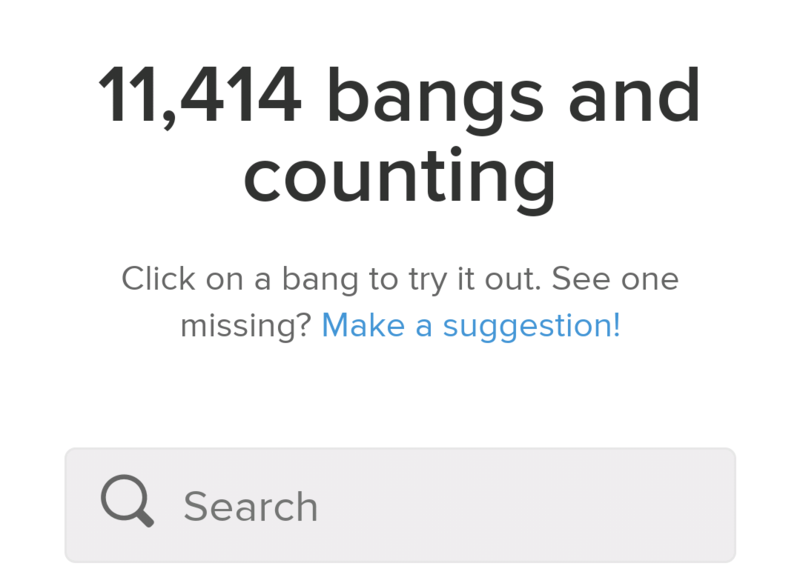 There are tens of thousands of Bangs and you can explore them on DuckDuckGo’s Bangs page. ‘Instant Answers’ is another cool feature of the search engine. DuckDuckGo isn’t the only privacy-focused search engine there is, but it sure is one of the most used and most popular. In fact, it is fast becoming the go-to search engine for users who need a break from Google’s tracking, monitoring, and its entire privacy issues.